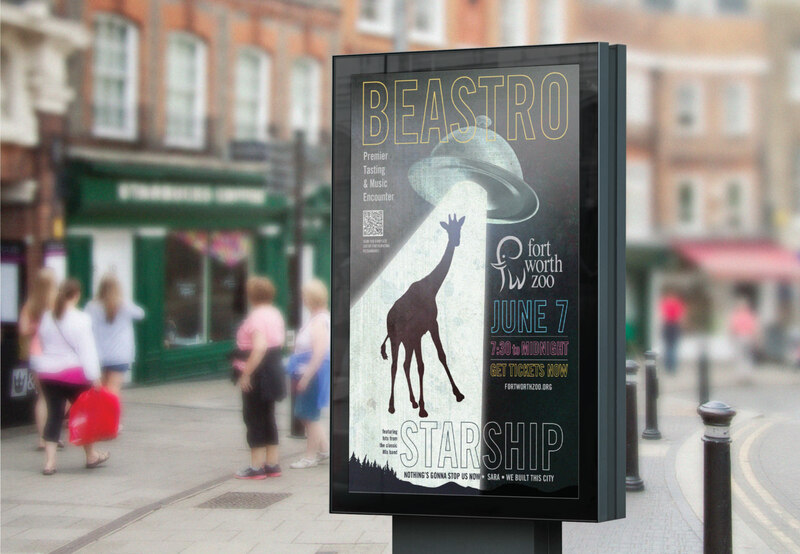 Beastro 2013 - Schaefer Advertising Co. 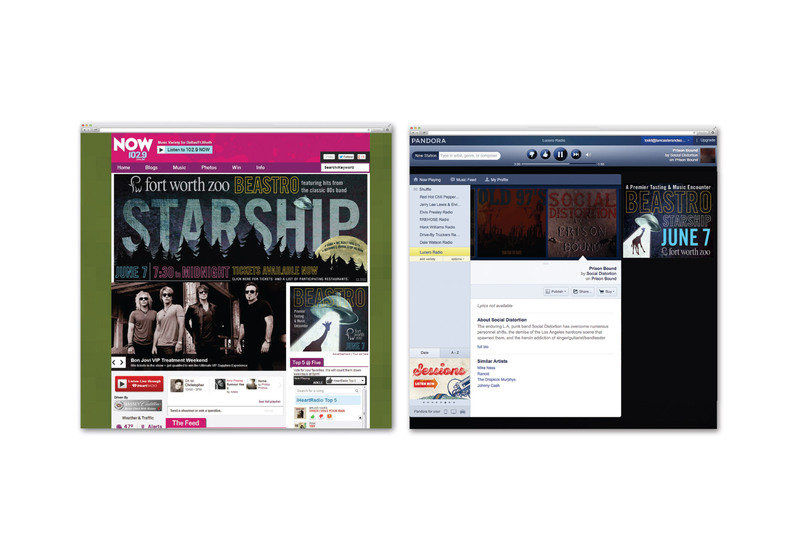 Along with more traditional media like outdoor, direct mail and banner ads, we went guerrilla on this project as well. 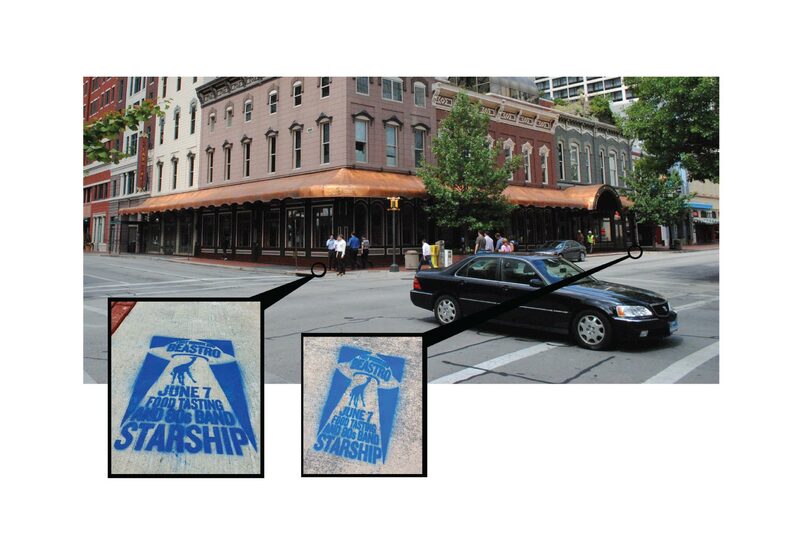 We created a stencil based on Todd’s artwork along with spray chalk to advertise the event on Fort Worth sidewalks. The cans of spray chalk say they’re wash off in a week or so. The fact that we could still see them several months after the event had ended would indicate otherwise. Oops. 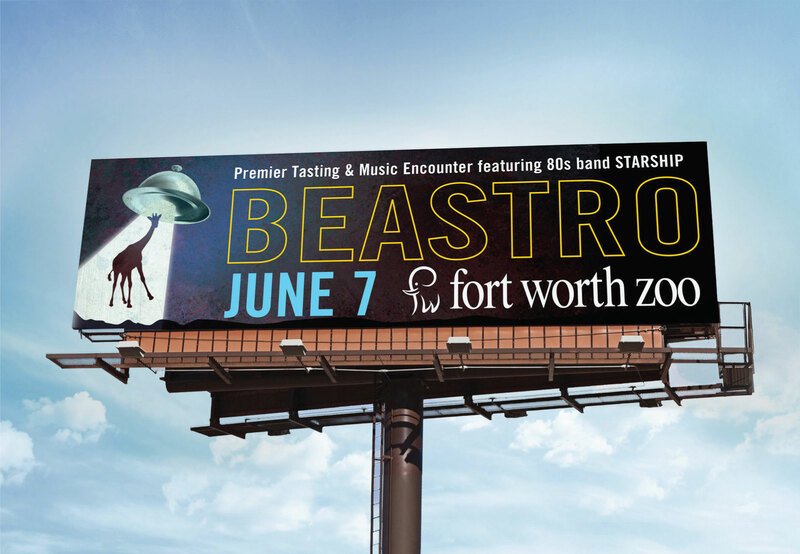 Anyway, the event was a lot of fun, Starship rocked the party and a ton of Fort Worth food fans got to stuff their faces and make new friends.